Smoking. There are plenty of reasons to stop smoking and to avoid second hand smoke when pregnant. Smoking in pregnancy can be harmful to both the mother and her baby. Alcohol. According to research, there is no safe amount or safe time to drink alcohol when pregnant. Alcohol has many known side effects to the baby. When a pregnant woman drinks alcohol, so does her baby. Recreational drugs such as Marijuana and others are associated with preterm labors and birth defects. Mercury. Chemical exposure in pregnancy is potentially dangerous to the baby as the placenta is unable to filter those chemicals from the mother’s bloodstream, exposing a baby to chemicals during a critical growing period. Cleaning solutions and other powerful smelling solutions should be avoided in pregnancy. Safe exposure limits were not designed for pregnant women and no safe levels are known. Certain professions are at higher risk due to exposure. Cat litter. Cat feces can carry the parasite which causes toxoplasmosis. Toxoplasmosis can spread to the unborn child causing extremely serious effects. Change cat litter daily and have someone else change the cat litter if possible. If you must change the litter, wear gloves and wash hands with soap and warm water afterwards. Herbs. During the first trimester, many herbs can stimulate the uterus causing contractions which may lead to miscarriage. Check all herbal supplements with your herb knowledgeable provider. Raw meat, deli meat, and fish. Pregnant women have reduced immunity during pregnancy and are more prone to infections, viruses, and food borne illnesses such as Listeria and Toxoplasma. These infections may not present in the mother but may still affect her baby. Click on the link for a fact sheet which may be helpful to you. Unpasteurized Cheese. Brie, feta, blue cheese, goat cheese, and other soft unpasteurized cheeses may contain Listeria which can cause serious complications with the baby. Caffeine. The effects of caffeine on a baby are unknown, so it’s best to limit your exposure. It is generally believed that one 8 oz. serving a day is considered ok. Artificial sweeteners. There are unknown long term affects to using artificial sweeteners. 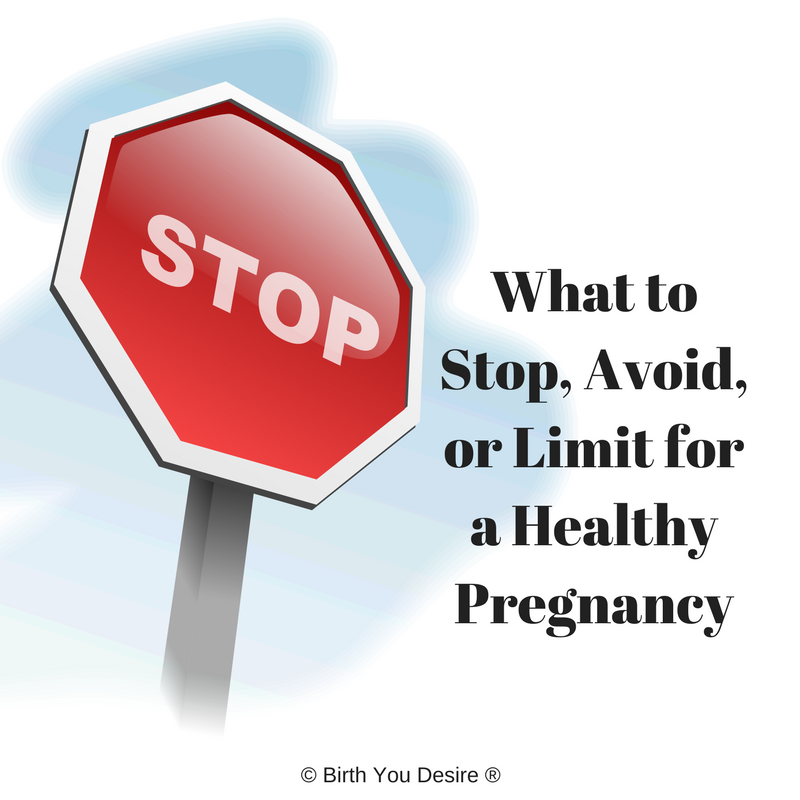 However, occasional use is considered safe for most in pregnancy. Learn which ones are considered safe by clicking on the link.